Nanomaterials have at least 1 dimension measuring less than 100 nm. They are generally man-made, inorganic materials. To explain, lets look at carbon-based nanomaterials. Buckyballs are spherical nanomaterials with all three dimensions confined at the nanoscale. Measuring 1 nm in diameter. Carbon atoms in buckyballs have the same structure of pentagon and hexagon faces as a soccer ball. They are probably the only nanomaterial with a defined molar mass (of 720 g/mol). Discovered in 1985 by James R. Heath, a grad student at Rice University. 11 years after, in 1996, the professors involved shared the Nobel Prize in Chemistry for this discovery. used in next-generation organic solar cells. Cross section or diameter is ~1-3 nm. They are a pipe 1 atom thick. However, nanotube length can be quite long exceeding a micrometer. Good conductors of electricity and heat. 2 dimensions at the nanoscale. Discovered by Sumio Iijima of Nippon Electric Company (NEC), Japan, in 1991. It was an accident! : They were trying to make buckyballs but instead observed unusual carbon fibers which turned out to be nanotubes. Under microscope they look like hair, thin fibers, or a bowl of spaghetti. used in application of flexible electronic displays, next generation of transistors, solar panels, stealth paint (cloaking devices), cancer treatment/therapy. 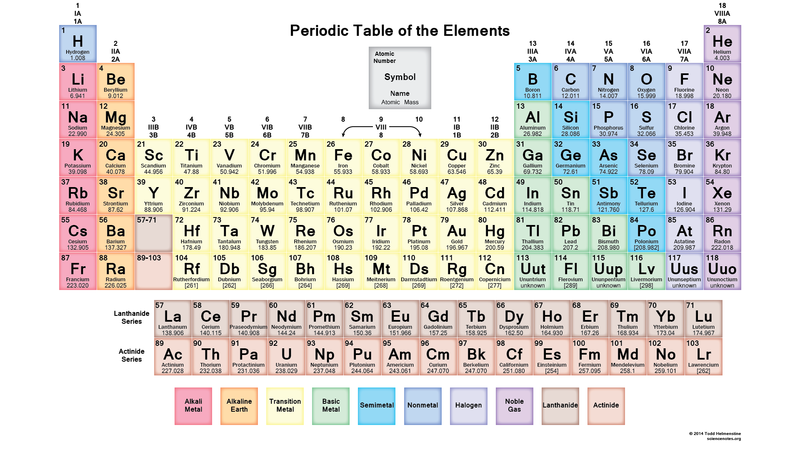 It is a sheet only 1 carbon atom thick. Lateral dimensions can be in the micro or even in the millimeter scale. Excellent conductors of electricity and heat. Graphene is a planar nanomaterial with 1 dimension confined at the nanoscale. Graphene is a derivation of graphite (pencil lead). Graphite is multiple layers of graphene stacked on top of each other. “Re-discovered” by A. Geim and K. Novoselov in 2004, two researchers at the University of Manchester. Developed a practical “scoth tape” technique to pull apart the layers, isolating individual sheets of graphene from bulk graphite. Won the 2010 Nobel Prize in Physics. Applications are very similar to those of carbon nanotubes. Also will be used for flexible displays, sensor devices, high-performing batteries, etc. Nanotubes, graphene, and buckyballs are new allotropic forms of carbon. ​Different structural arrangement of the same element resulting in different forms or materials. In diamond all carbons are bound to 4 other carbon atoms, but our nano-material structures have carbon bound to 3 other carbon atoms. ​By only being bound to 3 other C's, the nano-based materials have C atoms with a free electron pair - this is what makes nanotubes and graphene good conductors of electricity vs. diamond. Nanomaterials can be purchased online, like everything else. Ex: Carbon Solutions offers a variety of nanotubes and graphene. 1 gram of functionalized nanotubes = 25x's more than gold. We need better processes to make the materials cheaper! Graphene for example, could be used in tons of applications if only there was a good, cost-effective way to make lots of it. Carbyne is the 4th type of carbon-based nanomaterial, but so far is only theoretical. Been studied through simulations & computations. It is predicted to be the strongest material ever. but, we cannot figure out how to make it. We need someone to figure out the mystery! Carbon-based nanomaterials are unique and often talked about in their own category. There are many other types of nanomaterials made from other elements or molecules. Nanowires = “wire-like” structures with 1-100 nm cross-section. Made of copper, metals, metal oxides. Electronics, fundamental components (super-capacitors, transistors), sensor technologies. Have been made from all kinds of materials. Nano-”shells” or nano-”onions” (with different layers of materials). Nanoparticles are small aggregates/clusters of atoms with dimensions between 1-100 nm. They might be 1-2 nm in diameter up to much larger structures (100 nm in diameter or more…). Generally spherical in shape but, but can have many different faces depending on the size. The smaller, the more faces it tends to have (more polygonal, less smooth). The larger the structure, the smoother it tends to be. Buckyballs- soccer ball-shaped carbon molecules. Nanotubes- pipe- or tube-like carbon structures, 1-atom thick and hollow inside. Graphene- a flat, continuous sheet of carbon atoms, 1-atom thick. Note: this table does not include carbyne, which is currently only theoretical. Nanoparticles- quasi-spherical clusters of a small number of atoms. Metals - Iron, Gold, Silver, Nickel, etc. Metal oxides - Titanium dioxide, Iron oxide, etc. Carbon Nanotubes: Watch how nanotubes are made and some interesting properties they have as they are played with in the lab. The science that makes it so special. Applications of the next revolutionary material. Name the 3 most common types of carbon-based nanomaterials? What is a typical diameter of single-walled carbon nanotubes? And buckyballs? Nanoparticles can be made of….. Referring to the Periodic Table and what you know about nanoparticles, name 3 elements that are not typically used to make nanoparticles. How many orders of magnitude does the size of nanoparticles span? Nitrogen nanowires are common. True or False?